Truthmaking can be considered as an ontological role, that is, roughly, a set of features or explananda, which, when ‘played’ by a particular kind of entity, is then explained by the ontology of that kind of entity. 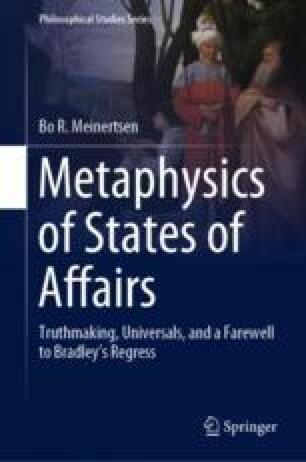 Thus, whichever ontology provides truthmakers (state of affairs ontology, trope theory, moderate realism) explains these explananda by providing entities (states of affairs, tropes, M-facts) that play the role. Since, as is generally agreed, truthmaking is very important, this is a major independent argument for the existence of states of affairs.